Fully automatic curing system for fast-cure glue. 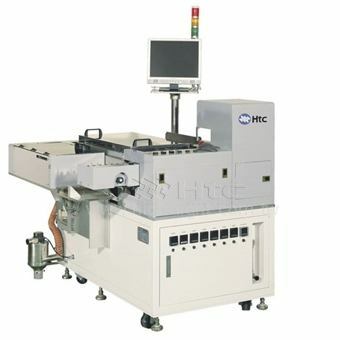 Easy to connect with kinds of Die-Bonder machine. Sutable for different type of packaging without change kits. Dual language(Chinese/English) operation interface and Windows based om MMI, easy to operation. Die-Bonding and curing process in-line purpose. Pre-Heating/Pre-Heating of Flip-Chip Under-Fill process.